February 16, 2016 by Ecommerce News. About Online store with tags The United Kingdom. 6285 views. Iceland is the UK’s top supermarket for online shopping, according to a recent survey of more than 7,000 shoppers. With 77%, the British supermarket chain earned the highest score among online supermarkets for the first time. The relatively new online service outranked more experienced rivals such as Waitrose or Ocado. Iceland was given the title by Which?, a magazine from the Consumer’s Association. It ranked supermarkets for shopping in-store, which led to Waitrose claiming the top spot, and supermarkets for shopping online. In this category Which? looked at how easy it is to find products in said store, what the availability is of convenient delivery slots, substitutions, the drivers’ service, value for money and an overall customer score. Which? asked 7,009 members of the public in November last year about their online shopping at Asda, Island, Morrisons, Ocado, Sainsbury’s, Tesco and Waitrose Deliver. Asda was the lowest-ranked online supermarket with a customer score of 65 percent. It was the onlin online supermarket not rated as ‘good’ for products being in stock, and was one of only two that didn’t get a good rating for ease of finding products. Iceland was founded in 1969. It pioneered home delivery in the United Kingdom twenty years ago and launched the first nationwide online shopping service in 1999. 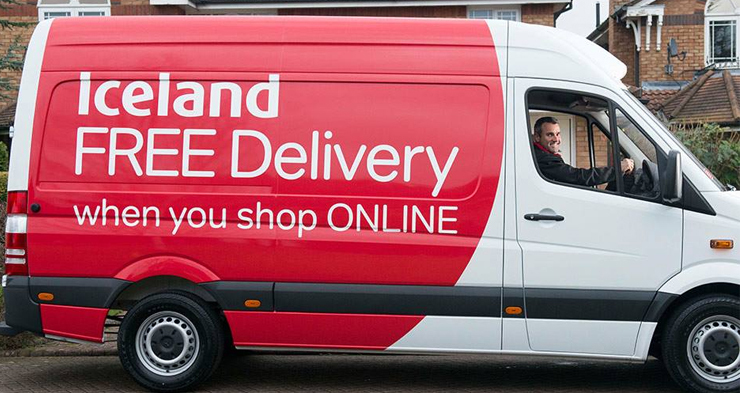 It relaunched online in 2013 and now makes around 9 million home deliveries every year.